If you have a flooding, leaking crawl space, it will affect your entire home. Fortunately, most crawl space drainage problems can be fixed in about a day-without disrupting your home. BlueMaxx Basement Systems provides crawl space services of all types throughout the area, including flooded crawl space repairs in Manitoba. 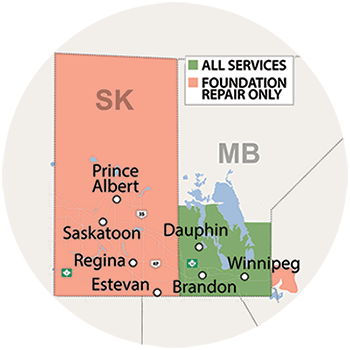 We proudly serve Winnipeg and areas nearby, including Arnot, Brandon, Brochet, Dauphin, Island Lake, Little Grand Rapids, Lynn Lake, Melita, Nunalla, Port Nelson, Russell, & Swan River. At BlueMaxx Basement Systems, we also recommend installing SmartPipe™ around the inside perimeter of your crawl space. Once your crawl space drain has been installed, it's a good idea to protect your home further with a crawl space vapor barrier, along with airtight crawl space vent covers and doors. At BlueMaxx Basement Systems, we provide the CleanSpace® Crawl Space Encapsulation system, including our 20-mil thick crawl space liner that's warrantied for 25 years. 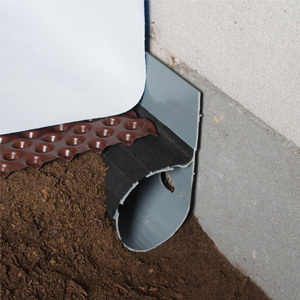 The SmartPipe™ Crawl Space Drainage System has been designed to be an integral part of the CleanSpace® System and can be installed with all of our products, including our crawl space insulation, vapor barrier, sump pump, and drainage matting.